What Is Water Weight and Should I Worry About It? There’s water retention that comes from indulging in too much sodium or from hormonal shifts caused by things like a new exercise regimen or menstruation. There’s water weight associated with the bodily fuel source glycogen that’s important to staying healthy. Neither is bad. Neither hurts you. Sodium or hormone-induced water retention will go away on its own once you lower the salt, adapt to the exercise, or finish your period. Glycogen-based water weight won’t go away unless you do it deliberately. It’s okay to do this on occasion if, for example, you want to look extra svelte for your class reunion, but it’s not something you want to do on a regular basis. Now that we have that out of the way, let’s take a closer look at water weight. Every tissue in your body is somewhere between 55 and 60 percent water, with your muscles packing in even more fluid, explains Jennifer L. Barnes, Ph.D., R.D., L.D.N. “This fluid is separated into different compartments both within and outside the cells,” she says. Water outside of cells includes blood plasma, lymphatic fluid, and water in between cells, which is critical to healthy cell signaling and function. Long story short: Your body doesn’t function well without a significant amount of H2O floating through your bloodstream at any given time. That amount will vary by individual, but Beachbody experts recommend consuming half your body weight in ounces of water each day: If you weigh 150 pounds, you should consume 75 ounces of water daily. You can also get water from the foods you eat: According to the National Academy of Sciences, foods (like fruits and vegetables, which have high water content) can meet approximately 28 percent of your daily water intake. 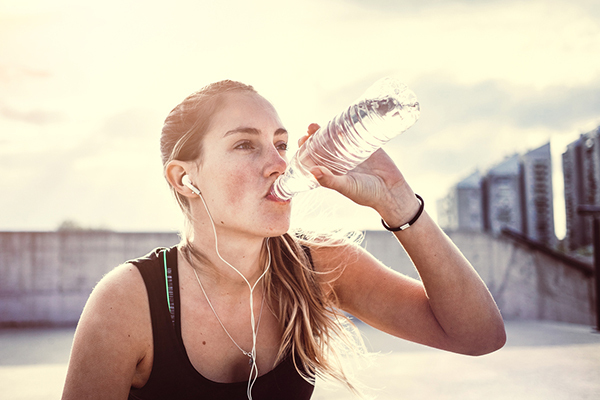 Exactly how much water you need to keep your body humming along at top speed also varies based on climate, elevation, hormone status, and activity, says Julie Ellner, M.D., a San Diego-based bariatric surgeon. That last variable (activity) explains why most experts recommend downing six to eight ounces of water every 15 to 30 minutes during exercise. Too much sweating with not enough fluid replenishment contributes to sluggish workouts in a major way: Losing as little as two percent of your body weight in water causes impaired exercise performance, while losses greater than five percent can decrease exercise capacity by about 30 percent, according to Sports Nutrition. More extreme dehydration can contribute to dizziness, fainting, vomiting, and even heart palpitations. For that reason, it’s advised that exercisers — especially those performing cardio-based endurance workouts — weigh themselves (ideally naked) both before and after exercise. 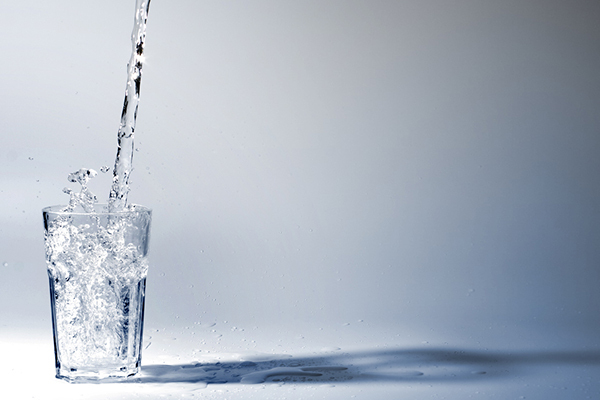 Chronic dehydration may contribute to fatigue, headaches, and overeating, among other issues. When you’re dehydrated, your body actually tends to retain more water — at least, it holds on to whatever water you do drink/eat — compared with when we’re adequately hydrated; you can thank your kidneys and hormones for that. “Fluid balance is tightly controlled in order to maintain adequate blood pressure,” says Barnes, an assistant professor of family and consumer sciences at Illinois State University. “The kidneys, adrenal, and pituitary glands each play a role to concentrate urine [conserve fluid] or produce more dilute urine [eliminate excess water]. This is accomplished by hormonal signaling in response to blood pressure and the concentration of electrolytes in the blood,” she explains. Why Am I Gaining Water Weight? During the course of the day, you can easily gain five or more pounds of water depending on what you eat, Barnes says. So if you gain water weight by the end of the day, how long does it take to get rid of that water retention? Some people carry this extra poundage for days, weeks, or even months at a time. It accumulates in the soft tissues underneath the skin, where it leads to visible swelling, says Ellner. “The biggest cause is salt,” says Kimberly Gomer, M.S., R.D., L.D.N., and director of nutrition at Pritikin Longevity Center + Spa in Miami. “We don’t realize how much salt we consume as a nation, with most of it coming from restaurant and packaged foods,” she says. While sodium is an important electrolyte needed for cell signaling, when it’s consumed in excess, your body must retain water to keep blood level concentrations from soaring too high. “Once you get rid of added salt from your diet, you will notice you are constantly peeing,” Gomer says. Hormonal changes can also influence hydration, Ellner notes. For example, women who are premenstrual often suffer from bloating due to fluctuating hormone levels. “Staying well-hydrated and not succumbing to the cravings for salt and carbs during this time can help reduce the visible swelling and discomfort,” she adds. Also, the stress of a new exercise regimen can cause water retention thanks to the hormone cortisol. While this can be frustrating when you step on the scale, it should pass as you adapt to your new fitness regimen. Beyond salt, your carbohydrate intake has a huge impact on whether and how you store water — but that doesn’t mean it causes water retention. When you consume carbs, your body stores them in the liver and skeletal muscles as glycogen, a preferred form of energy. “Glycogen is a hydrophilic, or water-loving, molecule, meaning that water is stored in conjunction with glycogen,” Barnes says. For every gram of glycogen you store away in your liver and muscles, you store three grams of water. But that’s not water retention. Rather, it’s just part of that healthy 55 to 60 percent of you that should be water. “The glycogen stored in the liver and muscles is the fuel we need for exercise — a good thing,” says Gomer, noting that topped-off glycogen stores typically aren’t associated with the type of bloating people get due to hormonal fluctuations or excess sodium intake. That’s because the fluid is confined to — you guessed it — the liver and muscles. In extreme situations, such as an endurance athlete carb-loading the week before a race, increased carb consumption can lead to a good five to 10 pounds of water weight gain, but that weight is long gone by the time the runner crosses the finish line. How Can I Reverse Water Retention? More often than not, when it comes to water retention, it’s as simple as adopting a whole-foods eating strategy, Gomer says. It can be beneficial to integrate potassium-rich fruits and vegetables like bananas, avocados, and sweet potatoes into your eating plan, Gomer says. That’s because potassium counters excess sodium in your body and leads to it being excreted through your urine. But don’t sweat your sodium and potassium levels too much. Too little sodium and too much potassium is just as bad for your health as too much sodium and too little potassium — although it’s really hard to do. Instead, prioritize a balanced, varied diet rich in whole foods to combat extra water weight. What About Losing Additional Water Weight? Is it possible to take water weight loss even further in a healthy way? 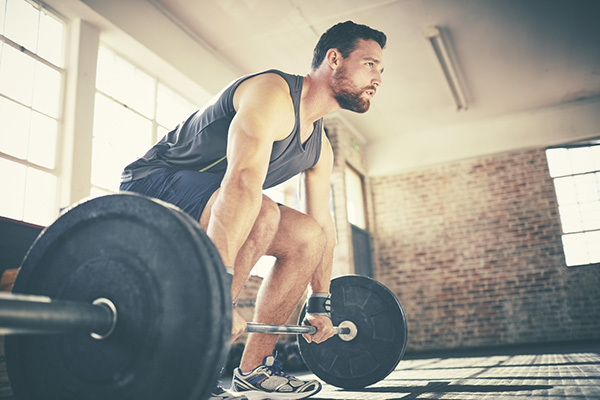 Pro athletes and bodybuilders do this — but with caveats. Perhaps the most obvious example of quickly dropping water weight is seen in athletes who need to “make weight” before a big competition. Boxers, wrestlers, and MMA fighters have been known to dehydrate themselves to ensure they are within the acceptable weight range for their competition. In professional athletes, they are conducted under the supervision of a team of physicians, dietitians, and trainers to help mediate any adverse health effects, Gomer says. If your goal is to lose water weight quickly, it’s important to do it carefully and correctly, with programs like Body Beast and 21 Day Fix EXTREME, which contain a similar type of glycogen-depleting plan. But remember: Rapid water-weight loss should only be done occasionally for temporary results. 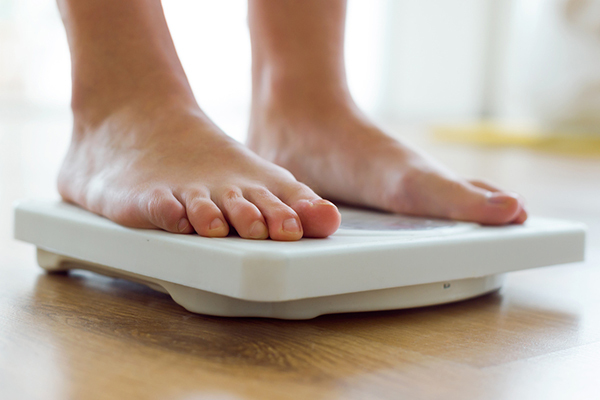 “It is important to recognize that most quick weight loss is at least partially due to a decrease in water weight that does not reflect a true body-fat weight loss,” says Barnes. To burn fat and lose weight — and keep it off — requires the combination of proper nutrition, an exercise program that includes cardio and strength training, and patience. You didn’t gain that weight overnight, so you’re not going to lose it overnight. “Water weight is completely normal and fluctuates constantly,” says Elana Natker. M.S., R.D. As long as you follow a balanced diet focused on whole, healthy foods, drink plenty of H2O, and exercise regularly, your water weight will be where it needs to be.